Australian newcomer Nourish and Care is tapping into the demand for convenience, fresh and plant-based mylks with a new make-at-home almond mylk. The global plant-based milk market is anticipated to exceed US$34 billion by 2024 (Renub Research). Demand for non-diary mylk has also surged in Australia during the last few years. The Nourish and Care Milky Almonds range is formulated by a naturopath and pharmacist and fortified with calcium and vitamin D to offer a similar nutritional profile to dairy milk. 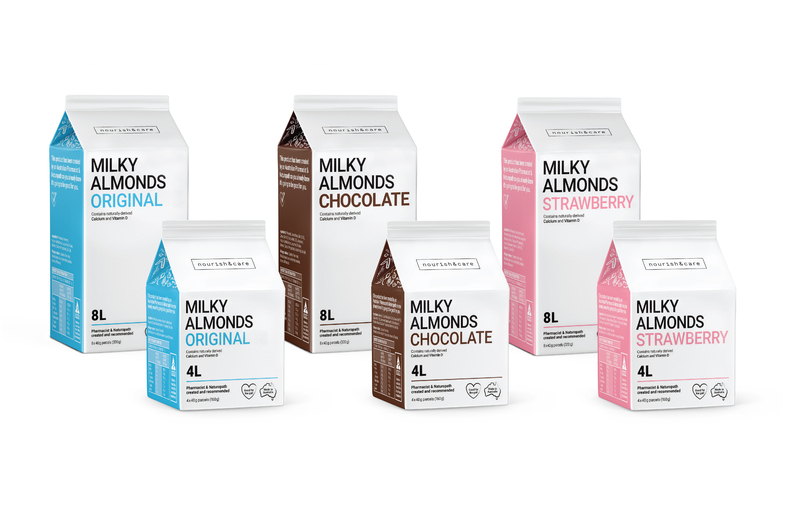 Unlike regular almond milk, Milky Almonds has been designed for consumers to blend their own milk at home. Each box of Milky Almonds contains several parcels that can be blended with water to create fresh almond milk. The milk can then be used as normal. The range currently includes three flavours – Original, Chocolate and Strawberry – in boxes of either four or eight parcels. 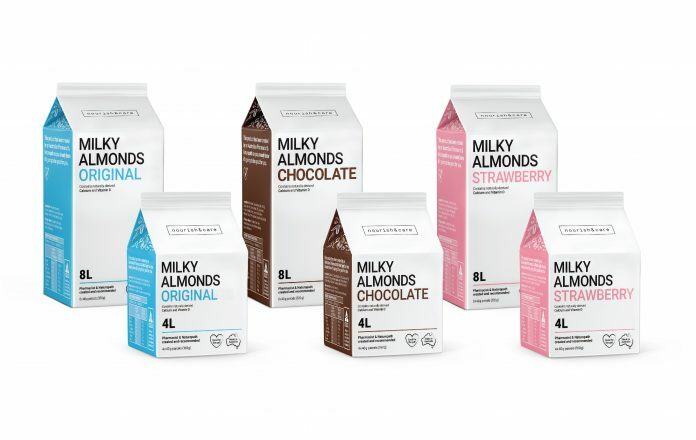 Milky Almonds products are vegan, paleo and free from dairy, lactose and gluten. Made in Australia.